We’ve had a great year so here’s our 10 Best Moments of 2017! 2017 has been a big year for us! Our Heritage Lottery Funded project to restore the stable yard, and create a more accessible more interactive museum, has become a reality! The builders moved in the spring and now we can really see the new café taking shape in the stables, and the plans for the new galleries are making their way from the page into the Museum! 2. Bill Bryson visited us! Bill Bryson visited us in April to open our Inspired by the Word exhibition. 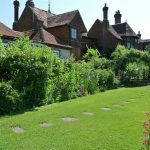 The exhibition celebrated Hampshire writers, and all the pieces of art located all around our garden were inspired by Gilbert White. Bill Bryson, told us how much he enjoyed visiting the museum and how important an exhibition like this was. 3. We celebrated at Nature Fest! Our 2nd annual Nature Festival was a fantastic event, with lots more to do and see and our visitors (and staff) loved it! Not only was it fun with great activities, it was also really important, we learnt so much about the natural world around us and contributed to conserving nature by collecting data on what we saw. All in the name of creating a new Natural History of Selborne! 4. The gardeners got a new HQ! For years our gardeners, who keep our gardens so amazing have been making do in buildings not up to the job! Part of our big project was to give them somewhere to work, that was designed with them in mind. This spring they moved in to the new gardeners HQ, equipped excitingly with a green house! 5. Mrs Oates gets to the truth! We hosted a world premiere this year! Our patron Byran Oates (great grand nephew of Lawrence) un earthed some new archives detailing Caroline Oates journey to find out more information on what happened to her son. Bryan transformed Caroline’s notes and letters into a dramatized lecture which was shown here in November to packed out audiences! 6. 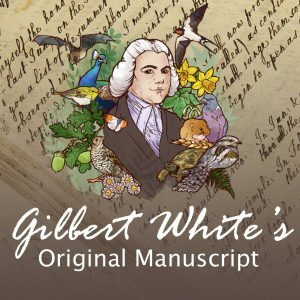 A great year for a (Gilbert)White Wedding! Did you know we’re a wedding venue? Well we’ve had a record year for weddings in 2017 and 2018 will be one too, with almost all weekends gone between march and September! We also had a fantastic Wedding Fayre this year, and are looking forward to our next in the Spring! 2017 marked the Unusual Plants Fair’s 25th year! We celebrated with a blistering hot June weekend, great stallholders and workshops! Despite the heat we still had a small stampede as we opened of garden lovers heading to buy the best plants! 8. We learnt more about Antarctica! 2017 was the first of our now annual Antarctic talks. We had support from the British Antarctic Survey and UK Antarctic Heritage Trust, and were lucky to hear three polar experts speak on some fascinating subjects! Finally we are very excited about the great work done by staff and volunteers to work on protecting, conserving and recording our wildlife. From flora to fauna with had some great results, with butterfly transects, moth traps and recording small mammals. Our understanding of the modern natural history Selborne is very important to us and we can’t wait to get more and more data! We’ve loved meeting all our lovely visitors this year! In 2017 we’ve seen an increase in visitors which is amazing! You’ve visited from all over the world and we couldn’t be anymore grateful!